Scott Richter is well known in for running Affiliate.com an international affiliate network. Scott Richter is also well known for his outgoing personality and previous TV appearances on the subject of affiliate email marketing. 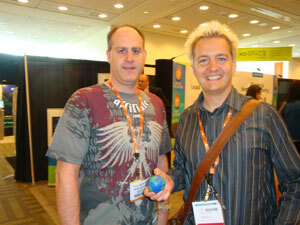 I recently meet up with Scott Richter at Ad:tech San Francisco pictured above. Scott Richter told me in Ad:tech San Francisco that his latest moves were into social media application and social media banner traffic. Awesome subject line, Murray. It caught my attention, while I was at a burlesque show.